Draft: 2006, Milwaukee Brewers, 1st rd. Has a daughter named Jurnee... Graduated from Halifax County (VA) High School, where he also played basketball... Was Baseball America's eighth-best high school prospect entering his senior season... Enjoys golf, video games, hunting and fantasy football...Follow him on Twitter (@JMontana41). Went 8-1 with a 1.29 ERA and 15 saves in a career-high 73 relief appearances with Milwaukee... Was an All-Star for the first time, replacing the injured Sean Doolittle (Washington)... His 73 appearances led the team and tied for eighth in the National League... Went unscored upon in 63 of his 73 appearances, including each of his last 11 outings (11.2ip)... His 1.29 ERA ranked second among qualifying Major League relievers, trailing only the Athletics' Blake Treinen (0.78)... His career-high 8 wins tied Scott Oberg (Colorado) and Craig Stammen (San Diego) for the National League lead... Also posted career highs in strikeouts (89 - T4th in NL) and innings pitched (76.2 - 8th in NL)... Held opponents to a .182 batting average, which ranked 10th among National League relievers... Was 15-for-20 in save opportunities (75.0%)... Retired 50 of 73 first batters faced (68.5%)... Stranded 30 of 38 inherited runners (78.9%)... His 23 consecutive outings from 4/7-5/27 without allowing a run tied a single-season franchise record: Doug Jones (8/11-9/26, 1997) and John Axford (5/15-7/2, 2013)... Was named Brewers Pitcher of the Month for May (13g, 3-0, 0.60era, 3sv)... Appeared in 8 postseason games, going 0-1 with a 6.75 ERA and 1 save... Notched the save in Game 2 of the NLDS vs. Colorado... Took the loss in Game 2 of the NLCS vs. Los Angeles. Combined to go 3-2 with a 2.33 ERA (15 ER/58.0 IP) and 27 saves over 59 relief appearances with Texas and Milwaukee, 24th-lowest relief ERA in majors…his 2.33 ERA and 1.259 WHIP figures were his lowest in any full season, along with career highs in saves (27) and games finished (41)…had a 1.71 ERA (5 ER/26.1 IP) over final 26 games with Texas and Milwaukee beginning 6/24, 12th-lowest among all ML relievers in that span (min. 25.0 IP). Went 5-0 with a 2.65 ERA in a career-high 72 relief appearances…Also produced career highs in wins (5), innings (68.0) and strikeouts (67)…Posted a 1.40 ERA over his last 25 appearances (25.2ip, 4er)…Held opponents to a .249 batting average with 67 strikeouts in 68.0 innings…Retired 45 of 72 first batters faced (62.5%)…Stranded 19 of 31 inherited runners (61.3%)…Was named Brewers Unsung Hero as voted on by members of the Milwaukee Chapter of the Baseball Writers Association of America. Earned his 1st win as a Blue Jay September 14 vs. BAL…Was his 1st victory since April 5, 2011 vs. CWS and the 3rd win of his career. Had his contract selected September 3 by the Blue Jays…In his 2nd stint with Toronto, did not allow a run in his nine appearances (0ER/9.1IP). As a member of the Buffalo Bisons (AAA), posted a 1.65 ERA (5ER/27.1) with seven saves in 25 games. Made his 2nd career Opening Day roster in 2013. Played winter ball in the Dominican Republic, going 0-1 with a 5.79 ERA in two starts. Spent most of his season with Omaha (AAA), but also made 13 relief appearances for the Royals...Allowed just one earned run over his first 11 outings (10.1 IP) despite 10 hits and nine walks, however allowed nine earned runs over his final two appearances (3.0 IP) on nine hits and four walks...Allowed runs in just three of 13 outings...Aug. 13 vs. OAK, fanned three in his one inning of work...With Omaha fanned 61 batters and allowed only 52 hits in 58 innings. Jeremy began the season in the Royals bullpen before being optioned to the minors on May 19 and then pitching at both Omaha and NW Arkansas the rest of the way. ... Following the campaign, pitched for the Surprise Saguaros in the Arizona Fall League ... struck out 15 with 8 walks in 11.0 innings in relief ... struck out the side in a scoreless inning in the Rising Stars Game. Pitched at four different levels in the Milwaukee system, culminating his season with 10 Major League appearances for the Brewers. ... Was recalled by Milwaukee on September 1 and made his Major League debut that night, tossing a scorelessinning at Cincinnati. ... Following the season, pitched for Surprise in the Arizona Fall League and was 0-0 with a 3.09 ERA in 10 reliefappearances ... struck out 14 batters in 11.2 innings. ... Selected to pitch in the AFL's Rising Stars Game and struck out a pair in a scoreless frame. Entered the seasons rated as the Brewers' fourth-best prospect and having the best fastball in the organization by Baseball America. Following his first professional season with the Arizona Brewers, named by Baseball America as the second-best prospect in the Arizona League. April 16, 2019 Milwaukee Brewers activated RHP Jeremy Jeffress from the 10-day injured list. 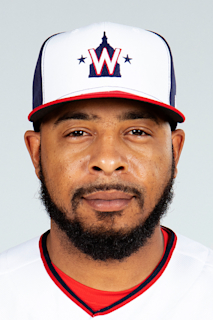 April 5, 2019 Milwaukee Brewers sent RHP Jeremy Jeffress on a rehab assignment to San Antonio Missions. March 28, 2019 Milwaukee Brewers placed RHP Jeremy Jeffress on the 10-day injured list retroactive to March 25, 2019. Right shoulder injury. August 2, 2017 Milwaukee Brewers activated RHP Jeremy Jeffress. July 31, 2017 Milwaukee Brewers reassigned RHP Jeremy Jeffress to the minor leagues. July 4, 2017 Texas Rangers activated RHP Jeremy Jeffress from the 10-day disabled list. June 22, 2017 Texas Rangers placed RHP Jeremy Jeffress on the 10-day disabled list. Lower back strain. September 23, 2016 Texas Rangers activated RHP Jeremy Jeffress from the restricted list. August 26, 2016 Texas Rangers placed RHP Jeremy Jeffress on the restricted list. August 3, 2016 Texas Rangers activated RHP Jeremy Jeffress. July 21, 2014 Milwaukee Brewers selected the contract of RHP Jeremy Jeffress from Nashville Sounds. April 29, 2014 RHP Jeremy Jeffress assigned to Nashville Sounds. April 18, 2014 Milwaukee Brewers signed free agent RHP Jeremy Jeffress to a minor league contract. April 17, 2014 RHP Jeremy Jeffress elected free agency. April 15, 2014 Toronto Blue Jays sent RHP Jeremy Jeffress outright to Buffalo Bisons. April 5, 2014 Toronto Blue Jays designated RHP Jeremy Jeffress for assignment. December 5, 2013 RHP Jeremy Jeffress assigned to Leones del Escogido. September 3, 2013 Toronto Blue Jays selected the contract of RHP Jeremy Jeffress from Buffalo Bisons. July 10, 2013 Jeremy Jeffress roster status changed by Buffalo Bisons. May 23, 2013 Buffalo Bisons placed RHP Jeremy Jeffress on the 7-day disabled list retroactive to May 21, 2013. May 3, 2013 RHP Jeremy Jeffress assigned to Buffalo Bisons from Dunedin Blue Jays. April 25, 2013 Jeremy Jeffress assigned to Dunedin Blue Jays from Buffalo Bisons. April 16, 2013 Toronto Blue Jays sent Jeremy Jeffress outright to Buffalo Bisons. April 6, 2013 Toronto Blue Jays designated Jeremy Jeffress for assignment. November 20, 2012 RHP Jeremy Jeffress assigned to Bravos de Margarita. November 8, 2012 Kansas City Royals traded RHP Jeremy Jeffress to Toronto Blue Jays. November 2, 2012 Kansas City Royals designated Jeremy Jeffress for assignment. September 4, 2012 Kansas City Royals recalled RHP Jeremy Jeffress from Northwest Arkansas Naturals. August 29, 2012 Jeremy Jeffress roster status changed by Northwest Arkansas Naturals. August 27, 2012 Kansas City Royals optioned RHP Jeremy Jeffress to Northwest Arkansas Naturals. August 1, 2012 Kansas City Royals recalled Jeremy Jeffress from Omaha Storm Chasers. April 25, 2012 Kansas City Royals optioned Jeremy Jeffress to Omaha Storm Chasers. April 21, 2012 Kansas City Royals recalled Jeremy Jeffress from Omaha Storm Chasers. March 30, 2012 Kansas City Royals optioned Jeremy Jeffress to Omaha Storm Chasers. September 29, 2011 Jeremy Jeffress roster status changed by Kansas City Royals. September 5, 2011 Northwest Arkansas Naturals activated RHP Jeremy Jeffress from the 7-day disabled list. August 28, 2011 Northwest Arkansas Naturals placed RHP Jeremy Jeffress on the 7-day disabled list. July 18, 2011 RHP Jeremy Jeffress assigned to Northwest Arkansas Naturals from Omaha Storm Chasers. May 19, 2011 Kansas City Royals optioned Jeremy Jeffress to Omaha Storm Chasers. September 1, 2010 Milwaukee Brewers recalled Jeremy Jeffress from Huntsville Stars. August 31, 2010 Jeremy Jeffress assigned to Surprise Rafters. July 26, 2010 Jeremy Jeffress assigned to Huntsville Stars from Brevard County Manatees. July 1, 2010 Jeremy Jeffress assigned to Brevard County Manatees from Wisconsin Timber Rattlers. June 29, 2010 Milwaukee Brewers selected the contract of RHP Jeremy Jeffress from Wisconsin Timber Rattlers. June 10, 2010 Jeremy Jeffress assigned to Wisconsin Timber Rattlers from Helena Brewers. May 21, 2010 Jeremy Jeffress assigned to Helena Brewers from Brevard County Manatees. September 7, 2009 Jeremy Jeffress roster status changed by Brevard County Manatees. June 29, 2009 Brevard County Manatees placed RHP Jeremy Jeffress on the restricted list. June 26, 2009 Jeremy Jeffress roster status changed by Brevard County Manatees. May 19, 2009 RHP Jeremy Jeffress assigned to Brevard County Manatees from Huntsville Stars.